K Hotel Taipei Dunnan offers a relaxing stay in beautiful, design interiors in Taipei. The design hotel provides elegant rooms with modern bathroom facilities and free Wi-Fi. 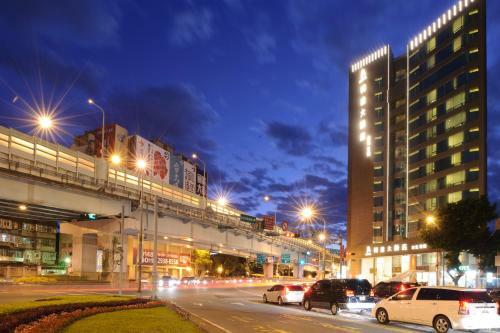 K Hotel Dunnan is located at the heart of Taipei business, intersection of Dunhua South ... 2, Dunhua S. Rd., Da'an Dist., Taipei City 10669, Taiwan (R.O.C.). 12.